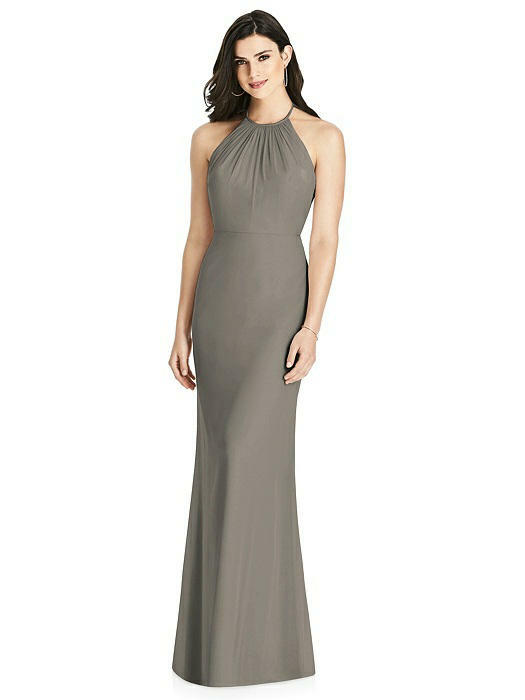 Full length lux chiffon dress with shirred halter neckline. Draped ruffle detail on criss-cross spaghetti straps. Low back. Trumpet skirt.